Gas-powered cars contribute to poor air quality & are California’s largest source of greenhouse gas emissions. Electric vehicles are a powerful tool for addressing these issues, especially when powered by the renewable energy that is increasingly being offered throughout the state. Generous state rebates and Federal tax incentives, combined with reduced operating costs are making EVs more financially attractive. However, misperceptions regarding EV affordability and the extent of their driving range, especially among low-income consumers whom Acterra surveyed, are delaying widespread adoption. Acterra is using behavior change methods including emotional response, social norms, & simplified decision-making to provide education & volunteer-enabled hands-on driving experiences that make it faster, easier, & cheaper for Bay Area consumers to switch to EVs. Acterra’s program focus is to reduce the carbon emissions that create climate change. Since the U.S. EPA estimates a gasoline-powered car produces 4.6 metric tons of CO2/year, one way to significantly reduce CO2 is through widespread use of electric vehicles (EVs) powered by renewable sources. Fostering EV adoption, however, is challenging for several reasons: their perceived cost, questions about their range and the unavailability of charging equipment, and consumer inertia concerning a “new” technology. Since low-income people often purchase used vehicles and may not be aware of the additional purchase rebates available to them, Acterra ran two focus groups (in English & Spanish) to identify barriers to EV adoption among low-income residents. Among the concerns identified, “range anxiety” was the major problem, followed by the perception that EVs are overly expensive “luxury cars.” Another difficulty was finding succinct & useful information about EVs & the rebate process online. Since approximately 39% of California’s carbon emissions are due to driving gasoline vehicles, switching to EV passenger cars can significantly reduce the carbon footprint of most suburban families. With the advent of Community Choice Energy utilities in our two-county service area (San Mateo & Santa Clara County), virtually all the electricity used in our region is now from solar & wind (plus some hydropower). Communities all over the state are now moving in this direction. Therefore, EVs can be a major factor in meeting California’s aggressive carbon reduction goals, while at the same time preserving the individual mobility that California’s population living in sprawling suburbs has become accustomed to. To support California’s goal of increasing EV use to 5 million by 2030, Acterra’s GoEV! Ambassador program is utilizing behavior change methods to increase EV adoption through changing social norms, appeals to emotional responses & simplifying the customer decision-making process. Our goal is behavior change related to car buying & leasing. Instead of buying a standard gasoline-engine vehicle, we want them to consider and purchase/lease an EV. A study by the Institute of Transportation Studies at UC Davis found that people are much more likely to purchase an electric vehicle when they have had a chance to test drive one. Our program has thus been designed to make it simple and easy for people to take test drives, without the hassle of visiting various dealerships & enduring their sales pressure in order to test several cars. In addition, in conjunction with ride-and-drive events, we also offer workshops that detail the various incentives for EV purchase/lease. Our workshops also distribute lists of “deals” on EVs that are updated weekly by an EV advocacy group, again simplifying the research needed to purchase or lease an EV. 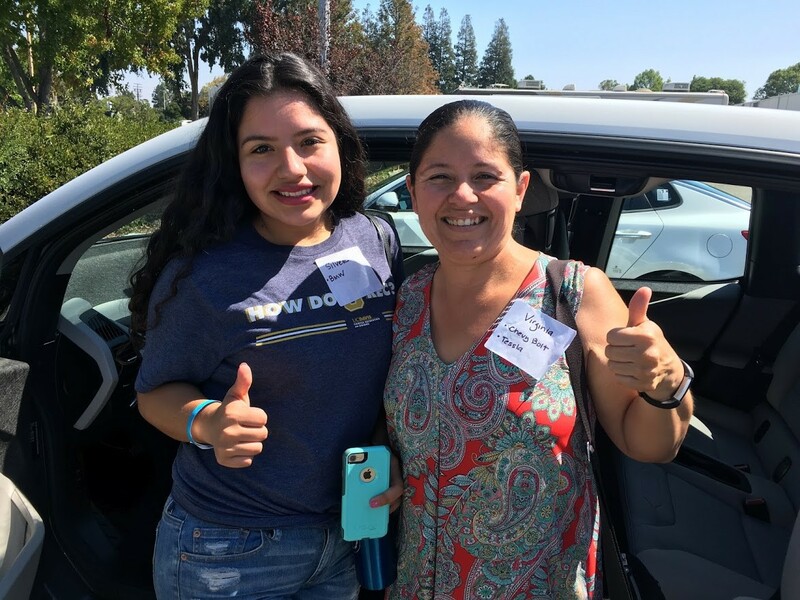 To overcome the barriers to EV adoption identified by our focus groups, Acterra offered a workshop in the nearby low-income community of East Palo Alto. 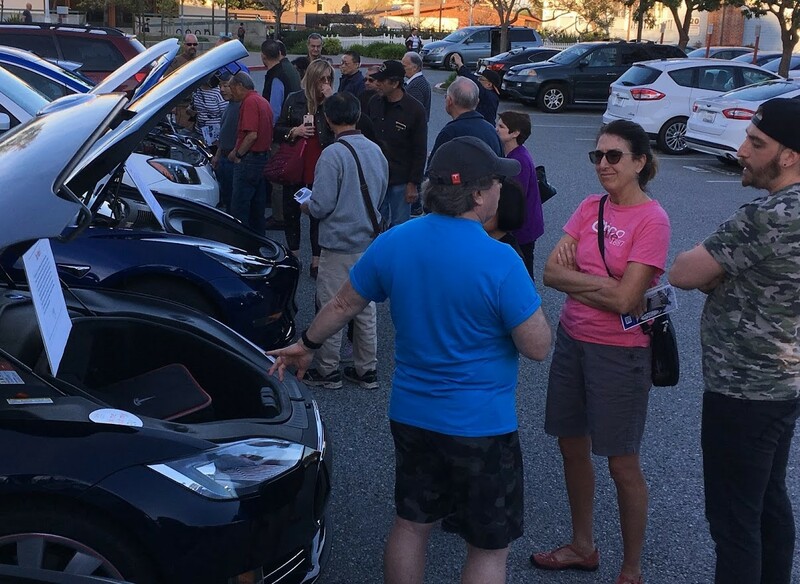 At this event volunteer Ambassadors discussed the issue of “range anxiety,” helping potential buyers see that 1) driving range varies widely among EV makes, 2) most daily trips easily fit within an EV’s range, and 3) online apps help locate charging stations. They highlighted the low cost to drive and maintain an EV and the added incentive of carpool lane access stickers. We also stressed that not all EVs are high-cost Teslas. Emotional appeal: Test driving an EV, participants can feel how an EV handles and how safety features (visibility, braking, rear-view cameras) work in various models. For those who enjoy fast acceleration, we offer a 5-minute straightaway ride that demonstrates an electric engine’s turbo-based pickup. (See the smiles in their photos.) Social norms: Our program relies upon 60 volunteer EV owners (not dealerships) to offer drives. This expands the perception of “EV drivers” to include role models such as women, families, people of color, seniors, etc. Choice architecture: Test driving a variety of EVs at one event, people can quickly compare various makes to identify their best choice, rather than enduring the hassle of visiting several dealerships. Our workshops also simplify the purchase decision with specifics about rebates, tax credits, carpool stickers — and listings of how to find the best deals. Acterra’s GoEV! Program has several components. 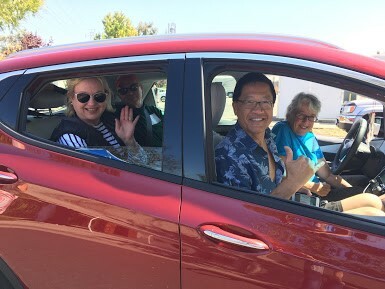 During the past 24 months, Acterra has offered 1,472 test drives via 5 public Ride-&-Drive events, engaged 1,200+ participants via workshops, expos & online webinars, created awareness among 20,000+ Bay Area residents via social media outreach, enlisted 60 EV owners as Ambassadors to serve as role models to potential EV buyers, & conducted focus groups in English & Spanish to identify attitudes towards EVs in low-income communities. To determine our effectiveness, at the end of every GoEV! event, Acterra surveys participants to assess their experience & the likelihood that they will purchase an EV within the next 6 months. Enabling conditions include rebates from Northern California’s PG&E utility, from California (including the extra rebate for low-income buyers), and Federal tax credits. While our focus groups were largely ignorant about State & Federal incentives for EV purchase, the State rebates were more attractive, since some people felt they did not pay enough taxes to qualify for a Federal tax credit. Other positive factors identified by focus group participants included the lower operating costs of an EV (no gasoline bills & very little other maintenance). Being able to drive in the carpool lane was also a perceived benefit. Key success factors include the 60 volunteers who own a variety of EV makes & models and serve as Ambassadors. They bring their cars to events, allow attendees to drive their vehicles, & answer online inquiries from the public about the performance and price of their cars, etc. Satisfied car owners who are not salespersons sharing such information expands the sense of trust felt by a potential buyer and makes the decision to purchase an EV more likely. Obstacles to offering ride-and-drive events include the question of liability insurance if an accident occurs. This was overcome by requiring all drivers and all owners to sign liability waivers written by an attorney. National Drive Electric Week – we offered two Ride-&-Drive events and concurrent workshops in September 2016 & 2017. Other partners for these events include Plug in America, the Sierra Club & the Electric Auto Association City of Palo Alto – we organized 3-hour Ride-and-Drive events at the city’s Earth Day celebrations in 2017 and 2108 City of East Palo Alto – we offered a Ride-and-Drive event for this low-income community in summer 2017 and several expos, workshops and focus groups Cities of Millbrae, South San Francisco and Redwood City – we also offered Ride-and- Drive events in these communities Veritas – we offered a Ride-and-Drive event for this Silicon Valley high tech company where over 80 employees drove our Ambassadors’ cars over the lunch hour Peninsula Clean Energy – we offered a workshop and car expo in conjunction with this new Community Choice Energy non-profit electricity provider Bay Area Air Quality Management District – we were funded to uncover barriers to EV adoption among low-income residents through offering two focus groups Nissan USA, BMW Group Technology Office USA, and the Del Grande Dealer Group – these car dealers also provided demonstration models at several of our events. A major aim of the GoEV! program is to educate the public about the various incentives that are available for EV purchase. These include carpool lane stickers, State of CA rebates ($2,500) — and the larger State rebates (an additional $1,500) for low-income customers. As a way to gauge effectiveness of our programs, we asked Ride-and-Drive participants to take both a pre-drive and post-drive survey. The results were very encouraging: •	The number of respondents who had a “very positive” perception of EVs rose almost 20 points, from 64% before the drive to 82% afterwards. •	After the test drive(s), 97% of respondents believed EVs are fun to drive. •	The belief that EVs have sufficient range increased by over 20% points after the test drive(s). •	The percentage of respondents that stated they will purchase an EV as their next car rose by 11 points, from 42% to 53%, after the test drive(s). •	An impressive 74% of respondents stated that their test drive helped accelerate the timing of their future EV purchase/lease. While it wasn’t feasible to collect data about participants’ actual purchases over the long term, a graph in the photos section shows that our town of Palo Alto has the highest percent (almost 30%) of new EV purchases in the state. When non-profit organizations create community events — especially when supplanting a commercial approach to education and product evaluation — there are always many intangible co-benefits. Our GOEV! Ambassadors demonstrate their enthusiasm for their purchase, and they embody the emotional well-being that develops when a person takes a concrete step to make a change that benefits not only themselves but the whole planet. 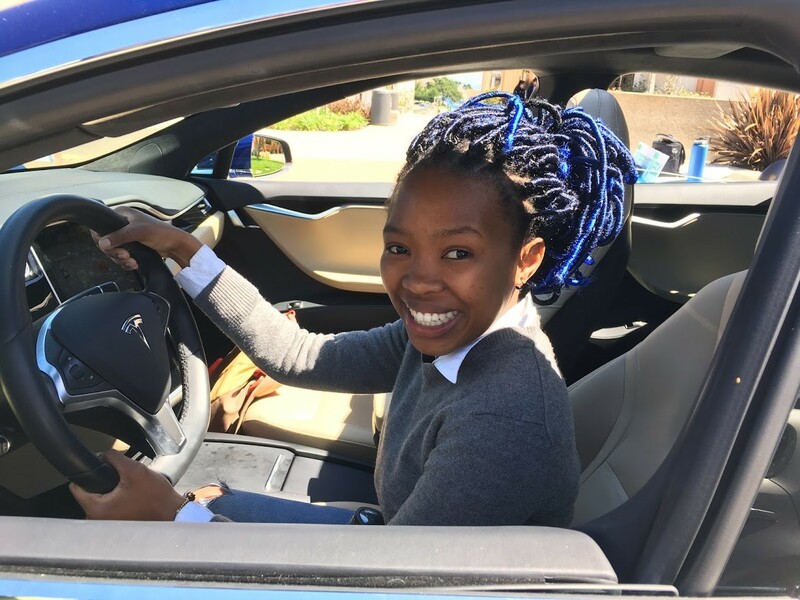 By allowing members of the public to drive their vehicles, the Ambassadors are creating new social norms around sharing and building trust, not only for the new EV technology, but among members of the community. In addition, by offering such events in low-income neighborhoods, our program also expands trust and good-will by demonstrating that people are willing to volunteer their time to help low-income families make changes that will reduce their transportation costs and also support our global climate needs. Expenses during FY 2017-18 equaled income, with the following costs: $25,000 for the part-time program manager, $5,000 for management, $5,000 for promotion/marketing, $6,000 for office costs, and $1,500 for supplies, etc. We are very pleased with the results from this investment, and based upon what we have accomplished so far, we are delighted to report that an individual donor with a personal foundation has recently granted Acterra $210,000 to be spent over the next three years to continue and expand the GoEV! program! To our knowledge, no other program uses volunteer EV Ambassadors to educate the public about the benefits of EVs. Because of our encouraging results — and the imperative need to reduce carbon emissions from vehicles — we highly recommend that other communities replicate this program and drive it to scale throughout the country. Decoupling the sales motive of auto dealers from the need for information about EVs, and adding the positive emotional response to Ride-and-Drive events, Acterra’s program can change the behavior of people seeking to acquire a new vehicle. Creating a network of EV owners who are role models and info sources will increase the level of trust and change social norms in regard to vehicle purchasing behavior. To offer such a program, a minimum of $50,000/year in funding should be sufficient (depending on local living costs) to hire a part-time program manager & organize Ride-and-Drive events and workshops. Such funds may be available in California & other states.